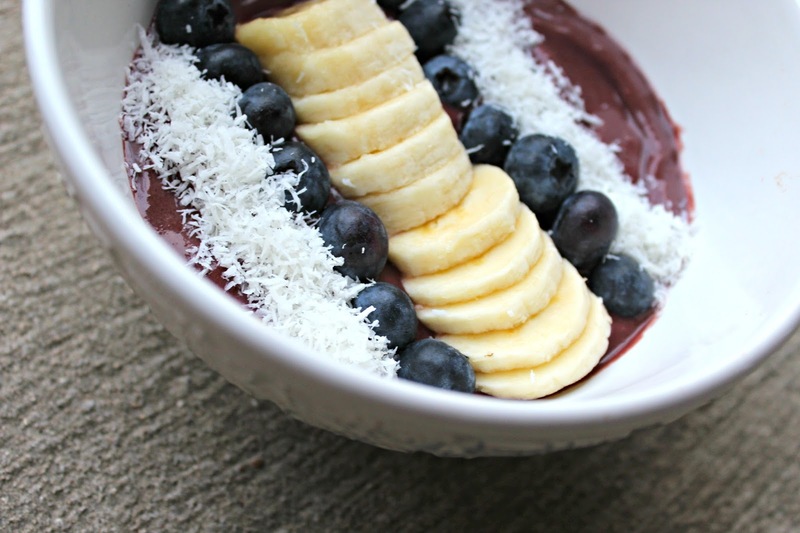 Cupcakes and Sunshine: acai what ya did there: DIY smoothie bowls! 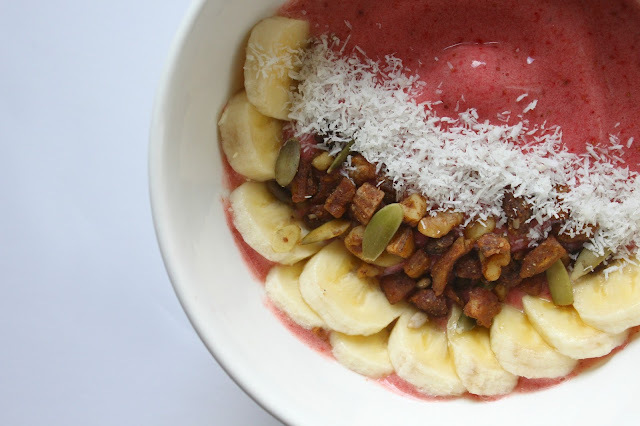 acai what ya did there: DIY smoothie bowls! It's Thursday! Which means one more day until the weekend!! ...and I couldn't be more excited. This has felt like the longest week! And I can't really tell you why. 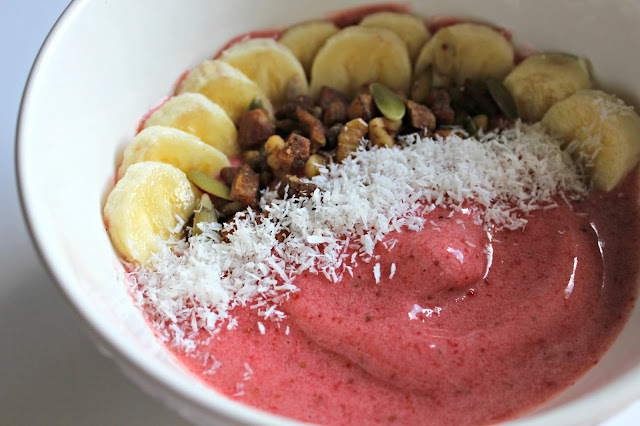 But I can tell you that I've been making lots of smoothie bowls lately. And I've started going back to the real gym (aka not doing five-minute youtube workouts from home. which are short and sweet, but if you have a gym pass you should use it! oops!) And walking at the lake lots. So things have been pretty healthy over here! I purchased a new food processor a couple of weeks ago because I used my last one so much that it burned out on me. oops! Since the new purchase, I've been making all the smoothie bowls. All day, every day! Crossing my fingers this food processor lasts longer than the other one though. 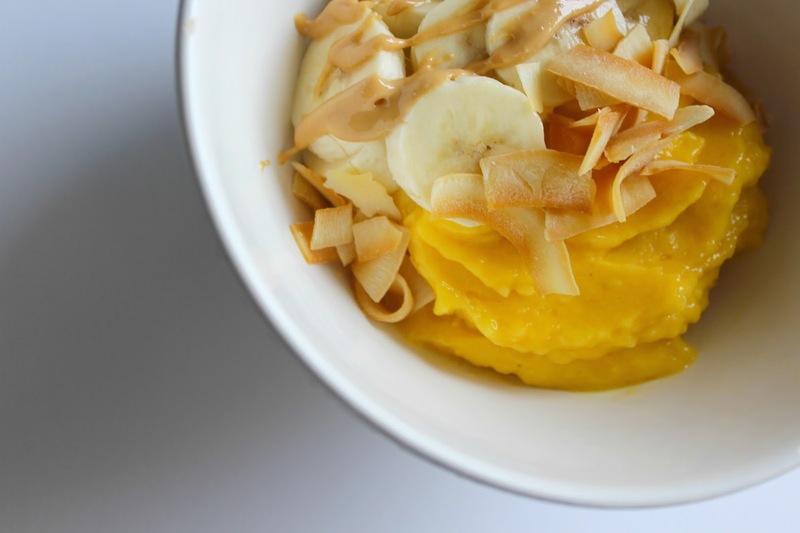 But with smoothie bowls like these, a long-lasting blender is wishful thinking! If you were to head to a juice shop or a place that makes bowls, these would be around $12-$14. 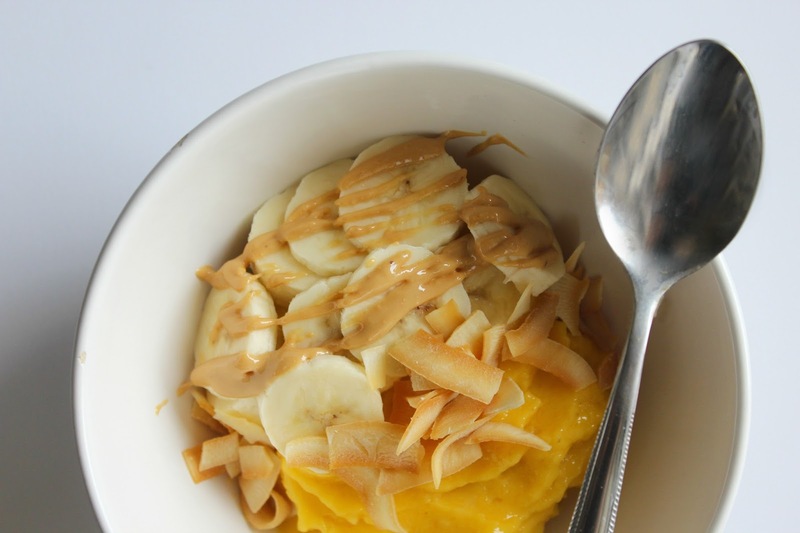 Which is CRAZY because you can make your own acai and smoothie bowls for days with $12-$14!! and lots and lots of toppings. I usually like to add a protein or spinach boost (just toss in a handful) for extra nutrients and it will keep you full through lunch! 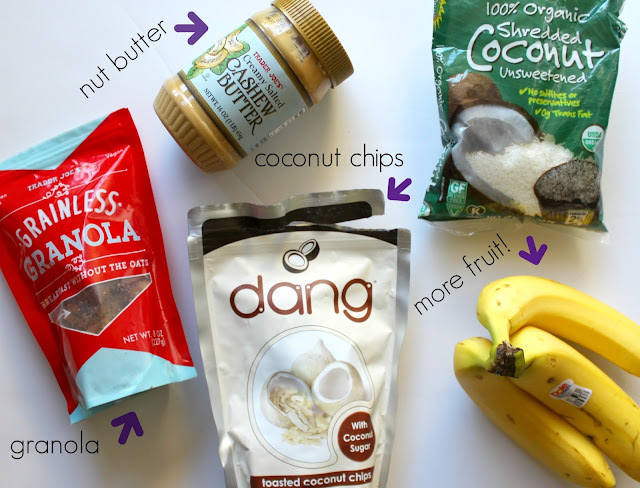 and I've added these mini-drinkable packets to my smoothie bowls too!! So yum. 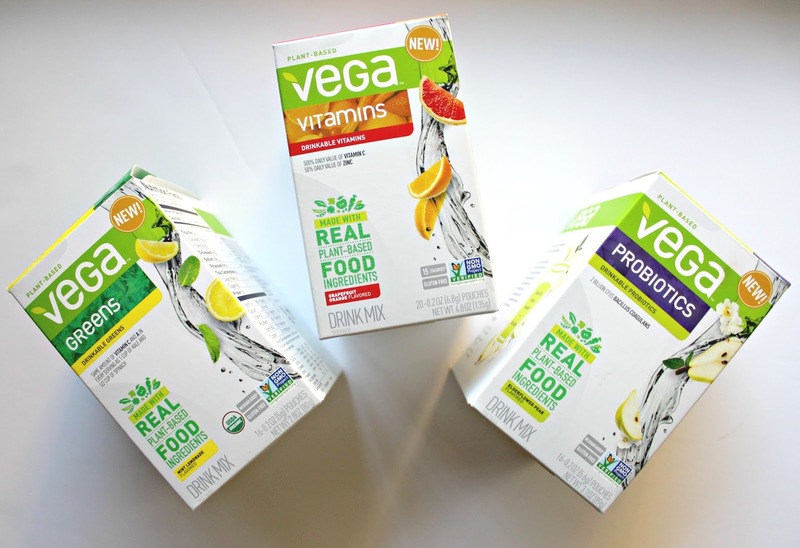 And Vega Protein itself is the best too. -optional couple handful of spinach. 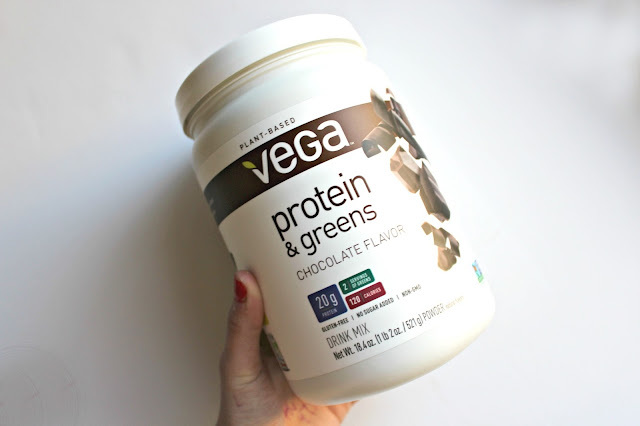 This will make your smoothie not-so-pretty, but nothing wrong with extra greens! *Blend all the above in food processor or blender and top with shredded coconut, sliced fruit, and granola.